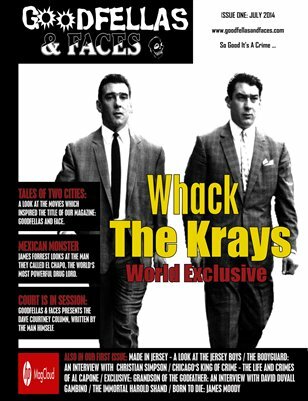 Goodfellas & Faces in the world's best true crime magazine, with interviews with all the naughty boys and girls from around the world. With our contact book, and our unprecedented access, we can bring you stories no-one else can, and interviews no-one else can get. If you're a fan of true crime, this is the publication for you. It's an offer you can't refuse.